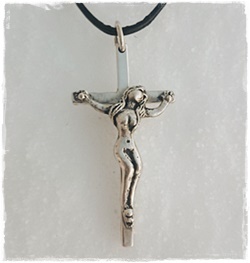 Heavy and unique piece of jewellery. 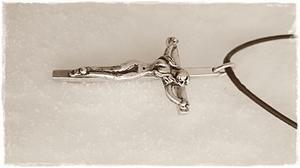 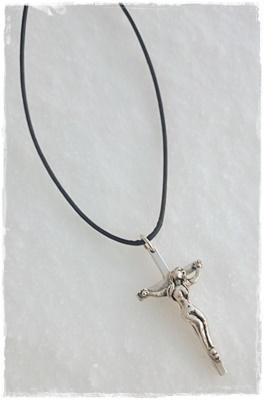 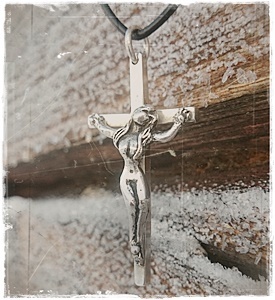 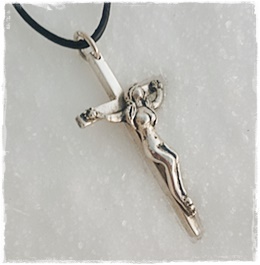 The cross is of sterling silver (6x3cm) and the woman is hand casted. 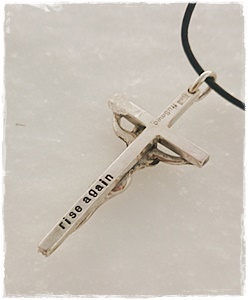 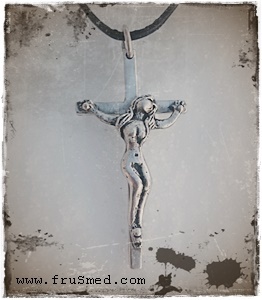 On the back of the cross you´ll find the words "rise again"
Comes with a black 70cm leatherstrap (2mm), adjustable.